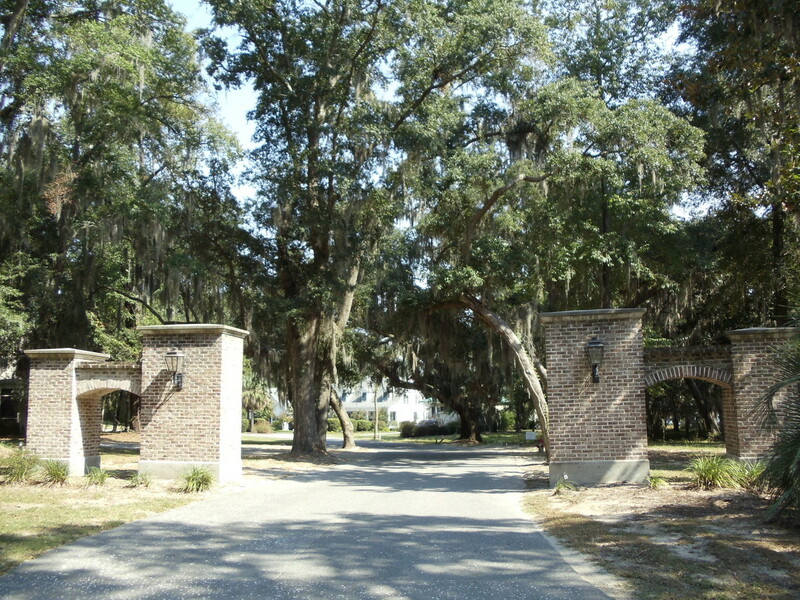 14 Wrights Point Circle is located in the exclusive community of Wrights Point Plantation in Port Royal SC. 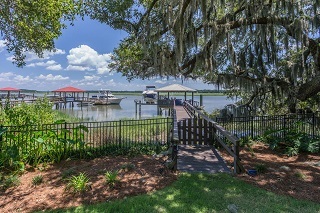 Just off of Parris Island Gateway, this well established waterfront community is moments away from Historic Beaufort and the neighboring town of Ladys Island. 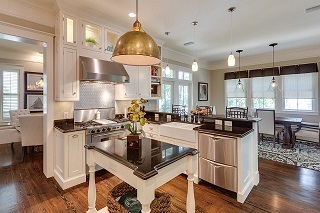 This incredible four bedroom, three and a half bath home has quality features in every room. Custom french doors and windows let in the natural light. 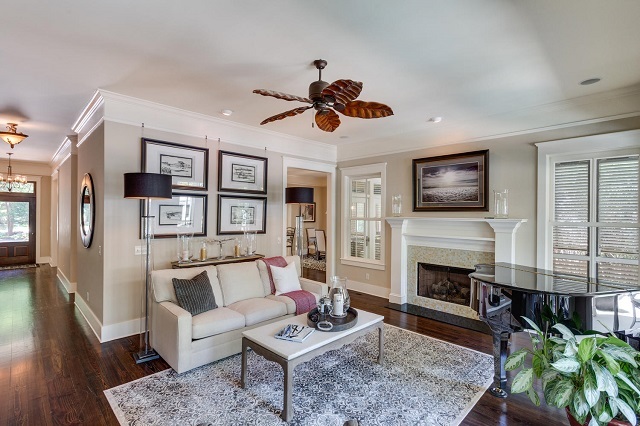 Gorgeous hardwood floors, crown molding throughout, and custom built ins are only some of the elegant touches offered. Impressive light fixtures can be found throughout this home. This home was designed for entertaining. 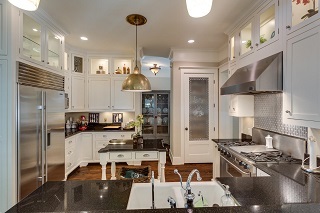 From the gourmet kitchen with high end stainless steel appliances, granite counter tops, and ample storage space. The family room makes a great area for guests, with an attractive fireplace and views of the garden and river. Enjoy dining in the formal dining room, or keep it casual on the open back deck. The first floor master suite is inviting with plush carpet, huge walk in closet with built in shelving, and access to the back deck. 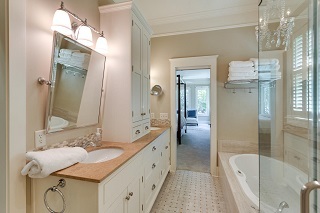 The master bath is just as impressive, with separate double sinks, divided by beautiful custom built in cabinets. Relax after a long day in the soaking tub or walk in shower. The second floor has two separate bedrooms and a full bath. 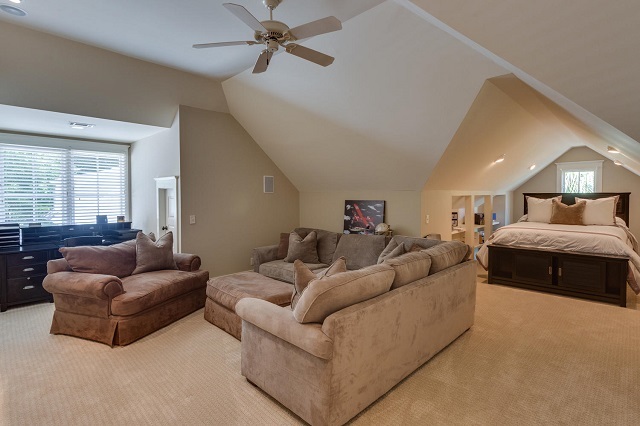 One bedroom could be utilized as a bonus room, office or den. Enjoy poolside get togethers with friends and family. 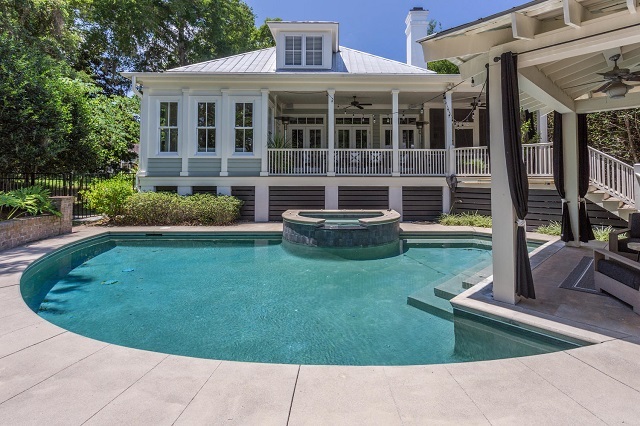 The two tiered sparkling pool is perfect for summertime enjoyment. The pool overlooks the beautifully landscaped back yard. The outdoor pergola has an additional half bath, outdoor shower, and a wood burning fireplace for those outdoor winter oyster roasts. 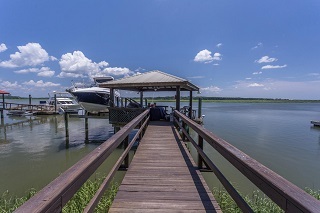 Overlooking Battery Creek, the incredibly short private dock and boat lift is located on some of the deepest water Beaufort County has to offer. 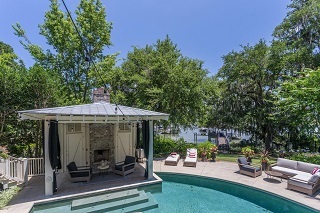 The immaculate landscape completes this luxury home with majestic live oaks showcasing the professionally designed gardens.